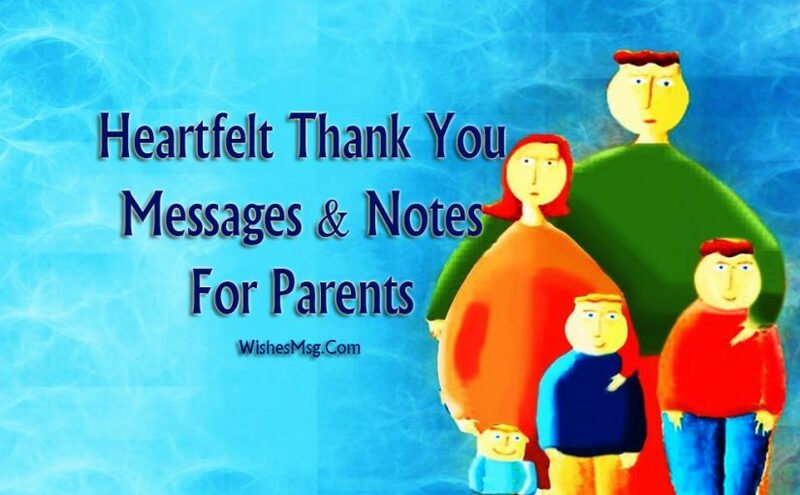 Thank You Message For Parents : A great compilation of heartfelt thank you message for parents, notes, quotes and wishes to show your love and gratitude towards your beloved mom and dad. You don’t need a special occasion to say “Thank You” to your mother and father and words of appreciation for what they did among their whole life for you. There is no way to know how many sacrifices your parents did to make your life better and what you are today. Acknowledge their limitless love and their limitless sacrifices. Do whatever it takes to make them smile. 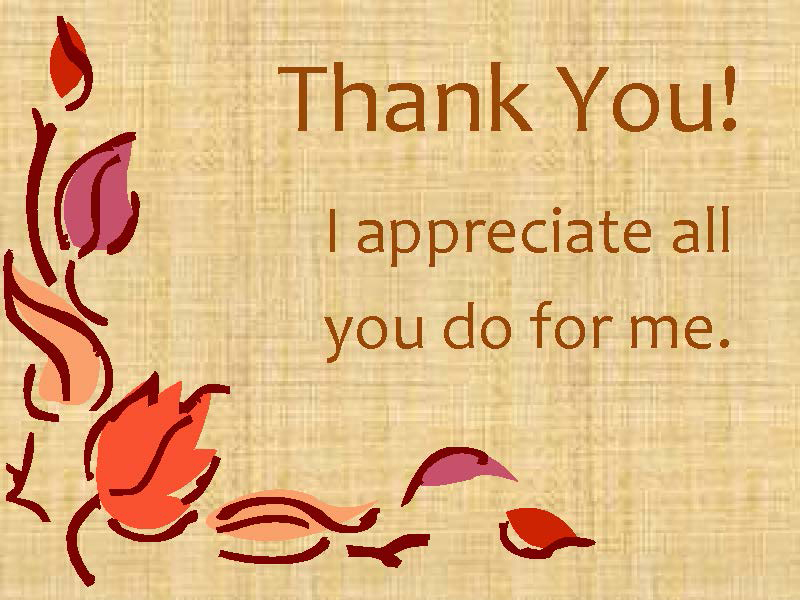 You may use these thank you message to show your love and appreciation to your loving mom and dad. Do a Text or post it on Facebook, Twitter or write a lovely messages on a greeting card – do whatever to make them happy. Sacrifice and suffering can actually be a good thing when it is done for the good of the family – This is the one lesson that will forever be engraved in my mind. My dear parents, thanks for teaching me what books couldn’t. I thank you for always trusting me, for giving me all your love and knowing when to correct me if necessary. You have taught me to value everything and for me, you are the best parents in the world. Thank you so much for the wings you have given me, for having taught me how to soar up into the sky, expand my horizons and brush against the heavens. You sacrificed your own happiness, just so that I could be happy. It may take a lifetime, but I’ll do everything to repay for what you have done for me. Thanks mom and dad. I may not say it aloud on Facebook but it is a fact that if my parents were my age, they would be the best friends I could ever have. Thanks mom and dad. I want to thank you for always understanding the things I said, the things I didn’t say, and the things I never planned on telling you. Thank you for understanding me always. With the trust you have entrusted in me by choosing me as a guide to your child, I extend thank you wishes and appreciate your trust in me. I would stand by your expectation till eternity. Even when you taught me how to play ball, I learned from you how to stand tall. Even when you taught me how to ride a bike, I learned how to balance myself through life’s turbulent spikes. Even when you helped me with studies, I learned how to take charge of my worries. Thanks, Dad. I didn’t have an awesome childhood because I had awesome friends. I had an awesome childhood because I had awesome parents. Thank you mom and dad. We have had many obstacles but you knew how to overcome them all, I have seen in you that the effort pays off. I thank you for teaching me how to be a good person, you are the best parents. Dear mom and dad, I have let so many years pass without thanking you both. But you haven’t let a single second pass without loving me unconditionally. When the world closed its doors on me, you both opened your arms for me. When people shut their ears for me, you both opened your hearts for me. Thanks for always being there for me. In life’s journey, I always thought I was right and my dad was wrong. But life’s harsh lessons made me realize that dad’s words were right all along. Thanks, Dad. I know I can always count on you in the most difficult times. I love you very much and I will never stop being grateful to you for how good you have been and still are as parents to me. Mom and dad, you’ve gone through a lot of struggle and pain. But I promise I won’t let all that go in vain. I want to do justice to every time you believed in me. I will grow up, to be the best I can be. I always thought that my parents were continuously on my back but I was mistaken. They were not on my back, but they were watching my back. Thanks for your support mom and dad. I don’t know where life will take me as I grow old, but what I do know is that I will never be a person as big as my father. Thank you, dad! Thanks mom and dad for telling me to figure out life’s tough problems all by myself. That is what made me understand that they were not tough in the first place. Of course, there is no way I’ll ever know everything you’ve done for me since the day you brought me into the world, but I know, and will always remember, that it is worth my eternal gratitude. There are many things for which I thank you. I want you to know that for me you are the most wonderful people I have met and I feel very proud to be your son. As a parent, the most important thing that you can ever teach your child is how to get along with you. As my parents, the both of you have done just this and so much more. Thank you for your love. I have tried to count—in vain, because there are too many—the number of sacrifices you have made to bring me up, of headaches and worries I have caused you, of little ploys and schemes I have used to wrongfully mislead you. Gee, am I thankful you did not return blow for blow! Mom and dad, I grew up cocooned in your love, comforted by your hugs and motivated by your lives… and I wouldn’t have it any other way. Thanks for everything. Mom and dad, you have always strives to give me the best. You have been the impetus I have ever needed to succeed. Thanks for being such a good parents. I love you very much. 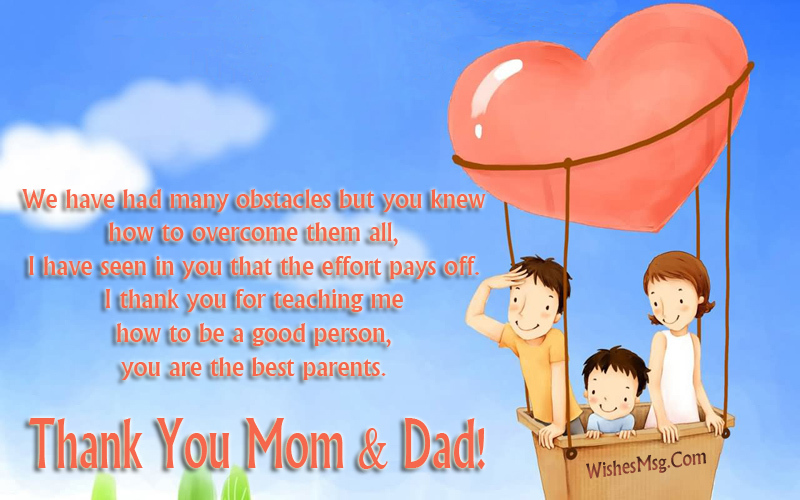 Dear parents, I love you both a lot and appreciate your effort and love in bringing me up to be a better individual. I am much lucky to have you both as my parents and thank God for giving me you. I love you beyond paint, beyond melodies, beyond words. And I hope you will always feel that, even when I’m not around to tell you so. One day I’ll be successful and people will ask me which college I went to. I’ll say, ‘It doesn’t matter because it is my parents who made me what I am today’. I love so much both of you! I have been fortunate to have you as parents. You know that you are the most special people in my life. Thanks for giving me everything you could, I love you very much. Thank you for your tender love. You’ll never really know. How happy that you’ve made me and how much I love you so. Mom and dad, I have no words to acknowledge the sacrifices you made and the dreams you had to let go, just to give me a shot at achieving mine. Thanks. I love you Mom and Dad because of your unconditional love and affection all the time. You both have always been caring and loving And stand by my side in the hour of need. You have shown me the world. Without the inspiration, drive, and support that you have given me, I might not be the person I am today. I have never taken any compliments to heart because deep down inside I know that all of them actually belong to you both. 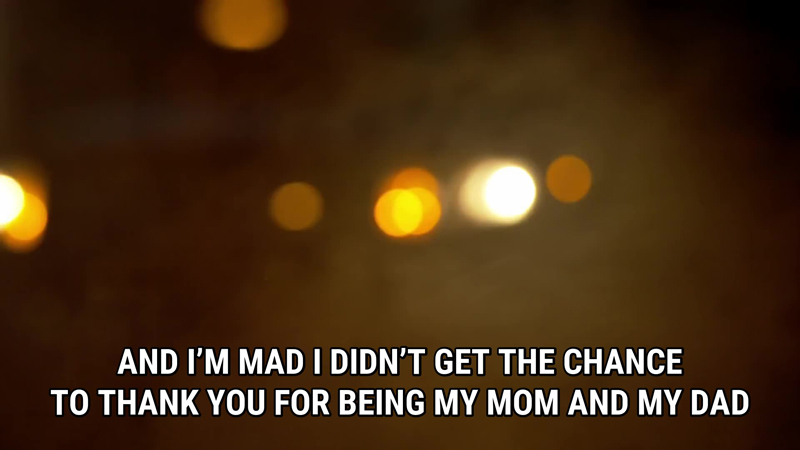 Thanks for everything, mom and dad. I am what I am thanks to your efforts and sacrifices. I thank you for all the love you have always given me; thanks to you I am happy. Thank you for making me laugh when I most needed it, for laughing at most of my crummy jokes, for making fun of me when I deserved it. Dear Mom and Dad, I am so much of what I learned from you. You’ll be with me like a handprint on my heart. I know I am lucky to have parents who love me to bits and love each other endlessly. Thanks for being the perfect mom and dad. You taught me to value things, you taught that you have to fight to get things and thanks to you I am the person that I am. I love you. Dear parent, I thank you for believing in me for being the mentor to your child and extend my appreciation for your belief and trust in me. I hope I have stood by your expectations. Thank you for teaching me, patiently, how to distinguish between good and evil, right and wrong, day and night, light and darkness, void and fullness. 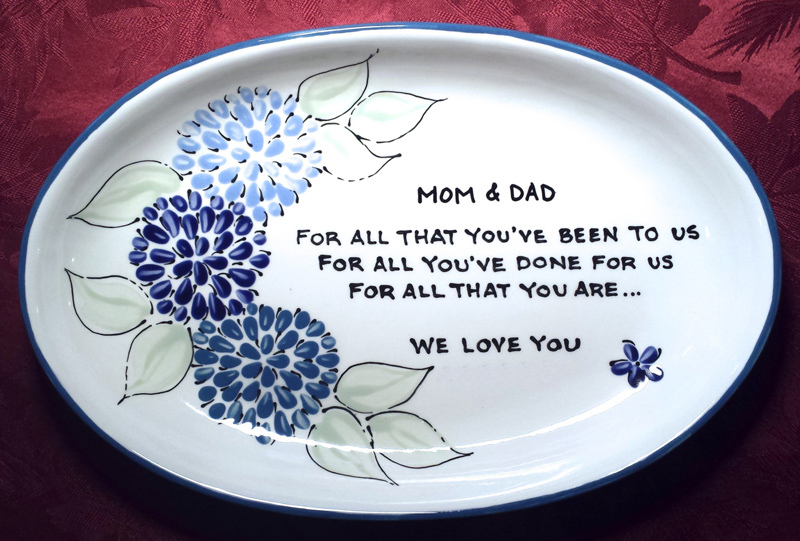 You don’t need to wait for parents day to thanks your parents once a year where they deserve your heartfelt well wishes random without any occasion. Hope you get the ideas what to write in a heartfelt thank you notes for parents and the way to write your own messages for your mom and dad.